Fast and intuitive in operation, the innovative TDS NT provides users with a convenient way of determining comprehensive and reliable information about the quality and condition of their cable installations. 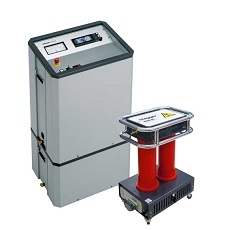 For cable testing and, when required, simultaneous PD (partial discharge) evaluation, the TDS NT uses Megger’s innovative 50 Hz Slope technology. This is a proven standards-compliant VLF (very low frequency) test technology that employs a test voltage with a 0.1 Hz cosine-rectangular waveform. Crucially, the rising and falling slopes of this waveform are almost identical to the corresponding slopes of a 50 Hz sine wave and, as a result, the test data obtained accurately relates to the behaviour of the cable when energised at power frequency. In addition the TDS NT provides damped AC (DAC) voltage testing. 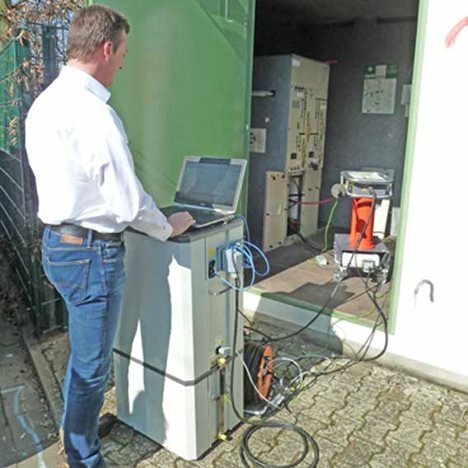 This allows detailed PD diagnostics to be performed and, because the test technique is inherently non-destructive, it is suitable for use not only on newly installed cables, but also as an aid to condition-based maintenance of older cable systems. Also test data obtained with the Damped AC voltage accurately relates to the behaviour of the cable when energised at power frequency. The software supplied with the TDS NT features fully automatic calibration with display of signal-to-noise ratio, as well as live PD mapping, which allows reliable automatic detection and precise location of partial discharge events while the test is being performed. Immediately after a test has been completed, users can, with a simple mouse click, generate a report containing a structured summary of the most important measurements. Designed from the outset with safety in mind, Megger’s TDS NT test sets incorporate an integrated discharge unit, earth loop monitoring and breakdown detection. The test sets are available in 40 kV and 60 kV versions, and consist of two major components: the voltage generator itself, which has two parts, and the partial discharge detector. This arrangement makes them particular easy to transport and convenient to use, even in challenging site locations.